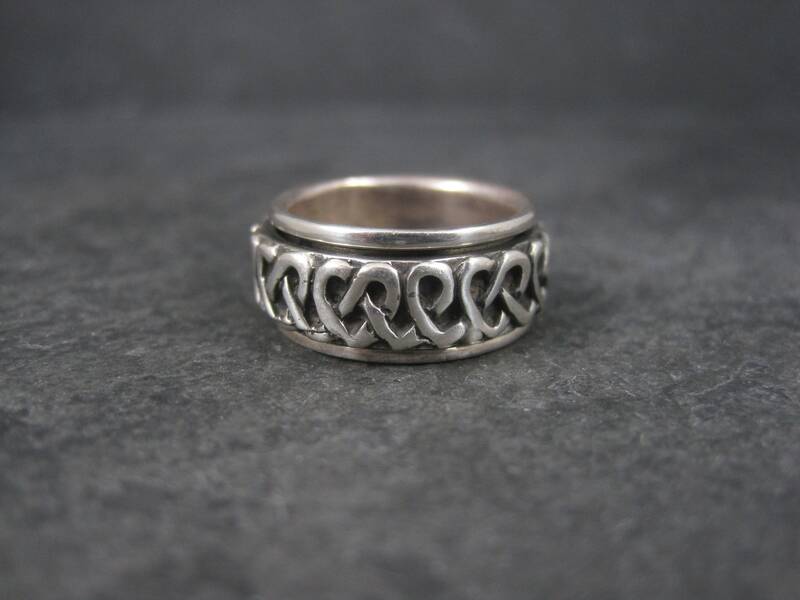 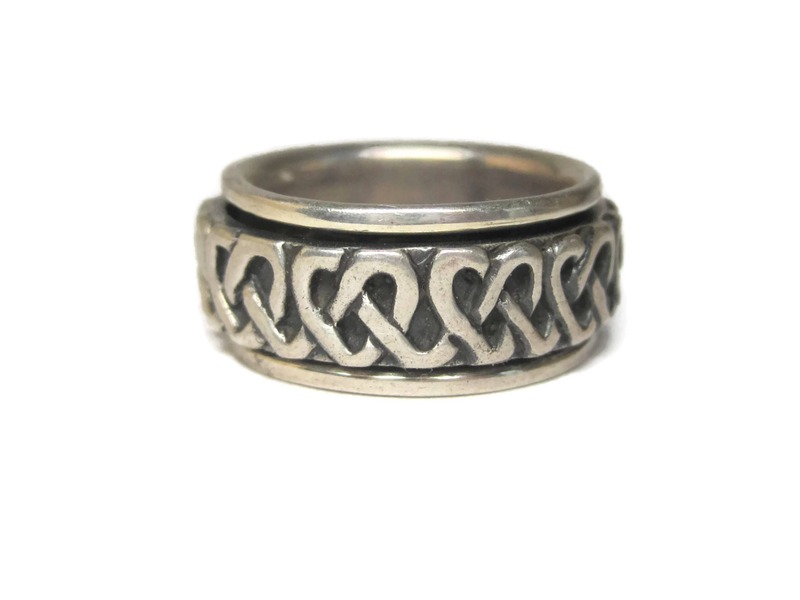 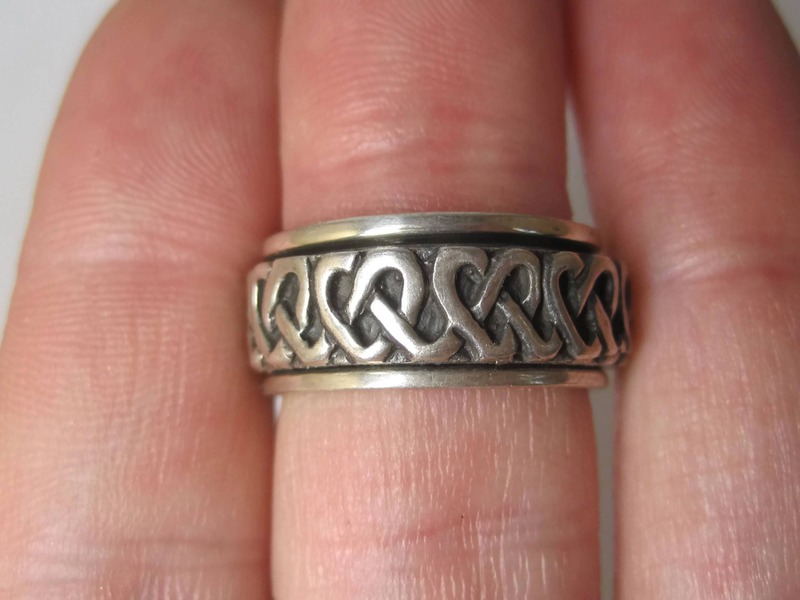 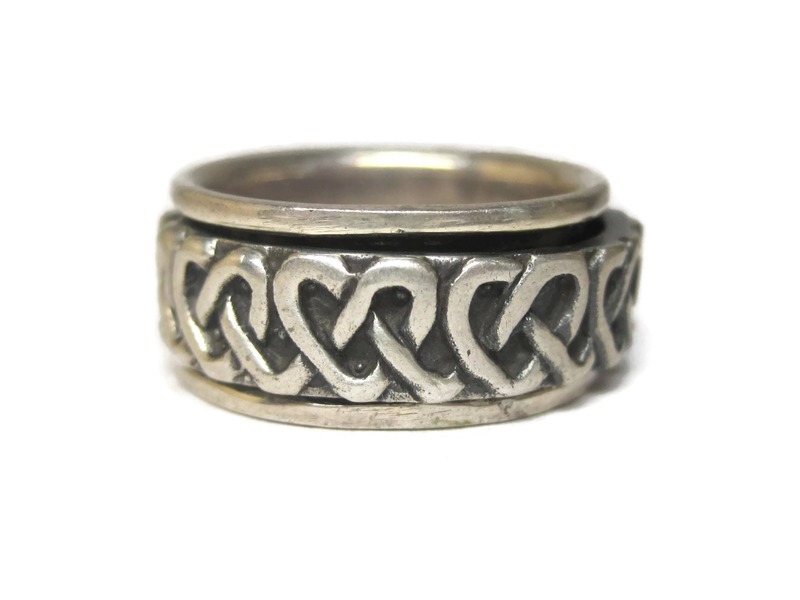 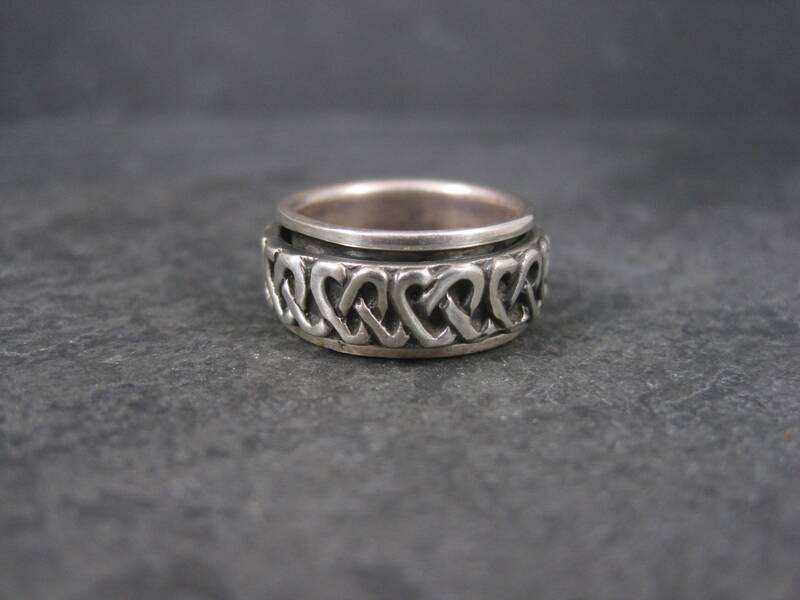 It features a celtic heart design on a spinner band, also known as a fidget ring. 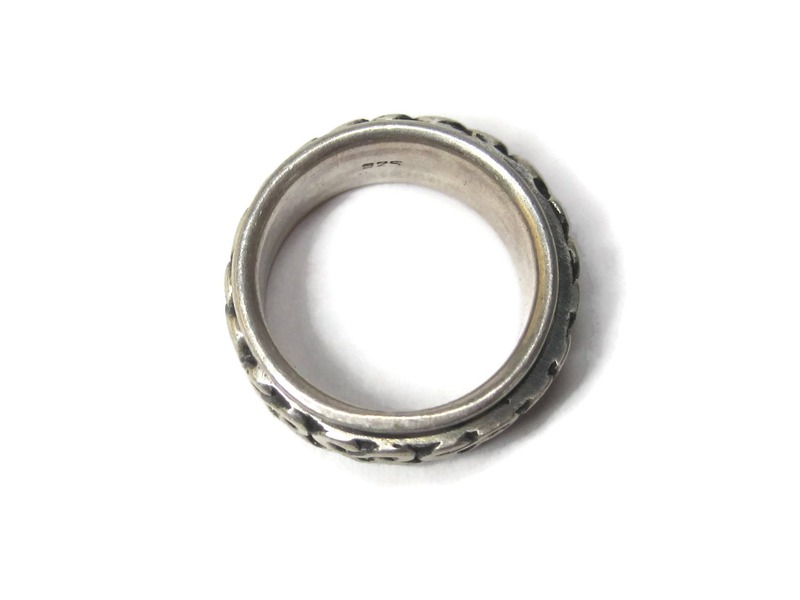 This ring measures 9mm wide. 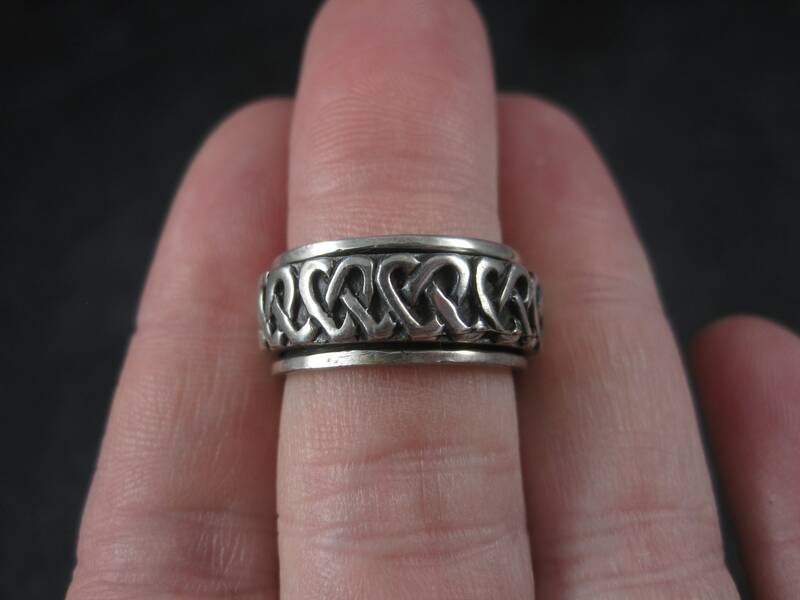 Though it sizes at almost a 6, it fits more like a size 5.